An exciting come back in a high scoring game for the Reserves! 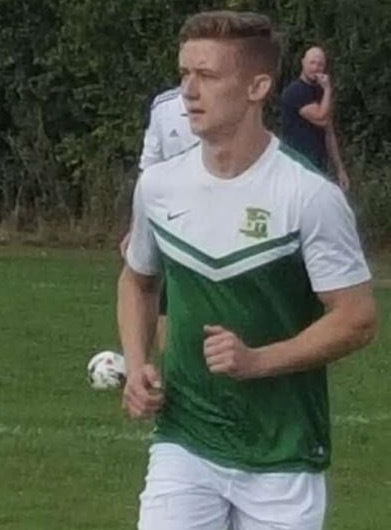 Hibs welcomed Chadwick End Reserves in their third league game of the season as they looked to build on their impressive start. Hibs were finally punished for starting slowly as Chadwick came out of the blocks quickly and soon looked to make things happen. It took just 9 minutes for the away side to open the scoring as a good free kick found its way through Hibs bodies and into the back of the net. 1-0 Chadwick. The home side were failing to complete simple passes and couldn't deal with the away pressure and soon found themselves 2-0 down. Things got even worse on the half hour mark as some calamitous defending lead to Hibs deservingly finding themselves 3-0 down. With Hibs in danger of completely falling apart they made some tactical personnel changes and began to finally hold a reasonable shape and create some meaningful chances. With not long to go in the first half Ciaran O'Reilly made an excellent driving run down the left wing and cut the ball back to striker Josh Johal who lashed home his second of the season to make the score 3-1 going into the break. After a few choice words and some tactical changes the team came back out with a real intent and it wasn't long before Hibs reduced the deficit further with Mitchell Williams Bundling the ball into the back of the net to make it 3-2. Game on. With the momentum well and truly with Hibs it wasn't long before they found the equalising goal, Elliot Smith lashing the ball into the net from a corner to make it 3-3. With 25 minutes to go and Hibs well and truly in charge of the game now it seemed inevitable that they would go on to win but despite numerous chances they couldn't find the elusive goal as the game finished 3-3 in a complete game of two halves.